Today, I dive into the recommendations from the Great Movies – 100 Years of Film book for my screening of Raging Bull. This four time Oscar winner (Best Picture, Best Original Screenplay, Best Score, and Best Costume Design) had never before graced my screen, so I was looking forward to settling in and watching this look back at the English Track team leading into the 1924 Olympics. And while I had never seen it, I, like everyone who had grown up at the same time as me, knew the theme by Vangelis… you couldn’t get away from it back in the early 80s. 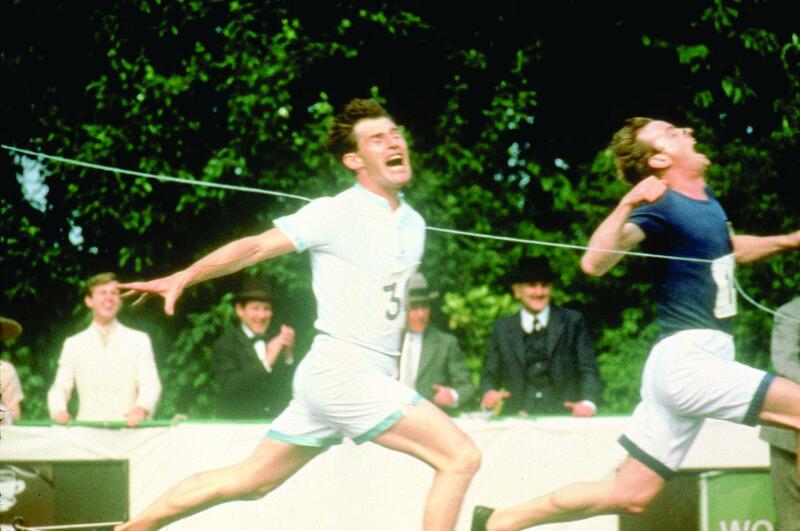 The film follows two of the athletes, a Christian Missionary Scot, Eric Liddell (Ian Charleson) who believes he runs for the pleasure of God, the other, Harold Abrahams (Ben Cross) is the son of a newly rich Jew, who can now afford to attend Cambridge. Harold, out to prove himself to his fellows, starts running, and wows his colleagues and the nation, but a preliminary encounter with Eric leaves him shattered and his confidence shaken. Unsure of what to do, even with the support of his girlfriend, Sybil (Alice Krige), he turns to the help of a professional trainer. Sam Mussabini (Ian Holm) to coach him. This move causes disappointment in the upper levels of the college, and with the Master of Trinity (John Gielgud). They allow him to continue though, and Harold improves, dramatically, until both men are ready to take on the world. The cinematography is beautiful, with the white British running uniforms showing up brilliantly against the greenery of England. There is no firm friendship between any of the characters, instead there is a healthy respect for a fellow athlete, and the hope that each of them will do their best, letting the best man win. The training montage is nicely done, cutting from Harold working with Sam to improve his running posture and stride, to Eric running the hills and vales of Scotland. All of it looks gorgeous, and the locations are nothing short of stunning. 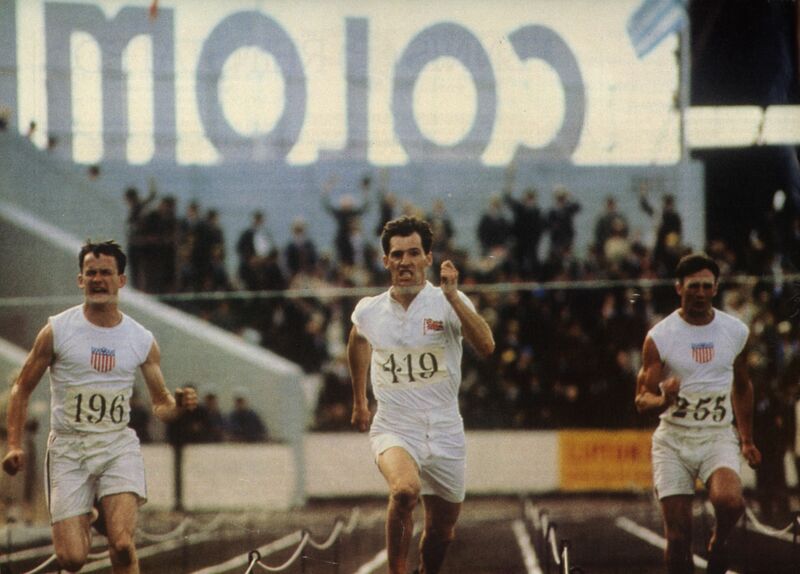 But it won’t be easy for either man, Harold struggles with his confidence on the track, while the Olympic Committee pressures Eric to run on a Sunday, the Christian Sabbath. There is no real sense of camaraderie or teamwork between any of the characters, they may all be members of the same team, but they stand alone, on the field and off, dealing with their own issues, and trials in that quiet reserved British manner. Ian Holm, in an Oscar-nominated role brings some of the only joy to the dramatic film, as he coaches and cheers on Harold. That being said it is a beautiful film to look at. I just didn’t get as wrapped up in the story or the characters as I was hoping I would.